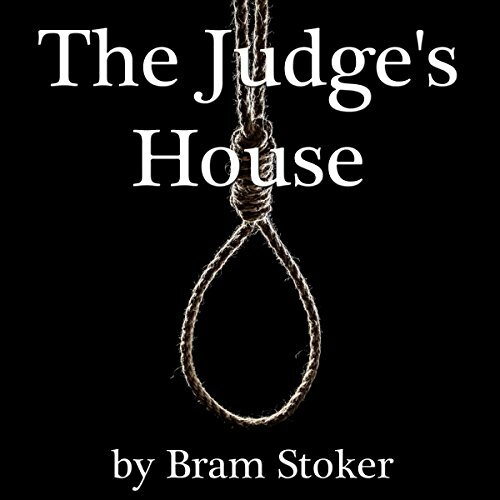 Pioneering master of horror Bram Stoker will have listeners rapt with anticipation in this uncanny account of student Malcom Malcomson, alone in a spooky rat-infested mansion. Actor Jack Benson delivers a performance that stands the test of time, beautifully capturing Stoker’s macabre cadence. Benson personifies the heedlessly self-assured young mathematician who - against the warnings of townsfolk - takes up residence in a long-abandoned mansion, formerly under the care of a cruel and maniacal judge with a sadistic affinity for the noose. As Malcomson develops a decidedly antagonistic relationship with one of the house’s rat inhabitants, the young scholar comes to the realization that perhaps this mansion was never abandoned after all. Abraham "Bram" Stoker was a Victorian Irish writer. He moved to London and became the business manager for Irving's Lyceum Theatre, a post he held for 27 years. He also wrote novels and short stories to supplement his income. Stoker is best remembered as the author of the hugely influential horror novel Dracula. However, he also penned a number of chilling horror and supernatural short stories. This tale contains elements of both and is one of his best. chilling short story poorly delivered. it's a spooky tale indeed. the characters are developed sufficiently in the short length. the only failing is the terrible sound quality and poorly delivered narration. it's cheap because it's short. that's no excuse for poor quality. The story was ok, more Poe than Stoker really but it was severely let down by the monotonous dreary voice of the narrator, no emotion shown when reading and seemed to read too fast to build the right amount of tension.